Composer Kristofer Maddigan‘s colorful soundtrack to Cuphead has taken off since its recent release. Widely praised for its rich sounds and authentic vintage approach, the soundtrack has already charted on Bandcamp, seen a deluxe vinyl release, and gathered a following of people who have fallen in love with its unique sounds and approach. In this in-depth interview, we had the pleasure of sitting down with Kristopher to discuss his process behind composing for Cuphead. He talks about some of his approaches to composing for this unusual soundtrack, which included bringing together several talented musicians and some serious research to capture the very specific sound required by Cuphead‘s aesthetic. Emily: First, thanks for chatting with us! Can you tell us about your background in music? Kristofer Maddigan: To go back to the beginning, I grew up listening to my mom play a lot of piano. I mentioned on a podcast I did last week that we only had 2 albums in the car, but she corrected me and reminded of two others. David Bowie’s “Let’s Dance,” Billy Joel’s “Greatest Hits,” The Smurfs Album, and the Traveling Wilburys. When I was super young I was a big Billy Joel fan, and we had the Billy Joel Live in Leningrad concert on VHS. I remember watching that so many times as a kid – I really wanted to be Liberty DeVitto, Billy Joel’s drummer. My mom said, well, maybe not; instead, I did piano for a bit, but didn’t like it very much. So she compromised, and I started studying classical percussion. I still kept playing drumset, and went through high school playing a lot of rock, and did a lot of concert band stuff. I ended up doing my undergrad in classical percussion. The bulk of work that I do now is more symphonic-based. I play as much jazz as I can, but it’s a totally different scene and can be tough to maintain. I had done very, very little composition before this project. I dove into this because Chad and Jared (Moldenhauer), the two brothers behind Studio MDHR, asked me to do it. I think I was the only professional musician they knew! I was hesitant early on, because this wasn’t really in my comfort zone, but they persisted. Initially, the game was going to be a lot smaller, and it was a lot less intimidating – if I’d known what it was going to grow into four years ago when I started, it would have been a lot scarier! At that point, I said, okay, I’ll listen to the direction you guys want to go in, and we’ll go from there. Emily: What kind of instructions or assignment were you given regarding the soundtrack? Kristofer Maddigan: If you watch a lot of the old Fleischer cartoons, you can see what they were visually inspired by. Some of the cartoons have big band vibes, but many of them don’t – they’ll have orchestral, or a chamber orchestra kind of thing. A lot of the music exactly matches what’s going on on-screen. But, Chad wanted to go more of the thirties big band route. He thought that would be more exciting, and fit what MDHR were trying to do. Emily: How much of the final recording was live? Kristofer Maddigan: Everything was live, except a few small things – theremin – it’s hard to find a theremin player, you know. [laughs] So the “Mausoleum” track, and a bit of the stuff in “Coin-Op Bop” – logistically it made more sense to go the MIDI route for [“Coin-Op Bop”]. Have you seen those videos that have been going around on Youtube for a couple of years – Joe Rinaudo and the American Fotoplayer? Kristofer Maddigan: So I was really inspired by that, and wanted to go for that kind of sound – it made sense for the track. All of the percussion on that one is live though. Emily: I did really like the use of percussion in the score. One of my favorites is “The Legendary Ghost,” which has that great xylophone. Kristofer Maddigan: Yes, I played that part! Emily: Did you perform all of the percussion yourself? Kristofer Maddigan: I did most of the percussion – I didn’t do any of the Brazilian percussion. Everything you hear in “Floral Fury” – that was a good friend and teacher, Alan Hetherington. And all of the vibraphone solos – not the ensemble vibraphone, but the solos – is a great local percussionist and vibes player named Mark Duggan. The rest of it I did, just because it was fundamentally easier to go into the studio and record it myself. I knew how it wanted to sound, so it was just simpler. It also saved a bit of money! Emily: Was it complicated, either through mixing or recording, to get a more old-fashioned sound? Kristofer Maddigan: Jeremy Darby, who ran the studio where we recorded (Canterbury Music Company in Toronto), used a lot of vintage mics. We had a few reference recordings that we liked – stuff from that era. We didn’t want to make it just sound old, but reminiscent of the specific time. It couldn’t sound modern, but it still had to be clean. We spent a lot of time mixing it to get the sound just right. In some ways, it’s definitely anachronistic, but it still reflects the sound we were aiming for. Emily: And the second thing that he kept commenting on was that the recording sound is extremely crisp – it still has that 30s vibe you were aiming for, but the instruments come through really well in spite of that. Kristofer Maddigan: I’m glad that he picked that up. The mixing process was quite long. I was recording some small piano things even just a few months ago, but the bulk of the big band recording was done over a year ago, so the mixing process had a long time to evolve. We had a good amount of time to experiment with different mixes, and Jeremy has the most unbelievable set of microphones. Emily: Did you find yourself adding instruments or parts as you mixed? Kristofer Maddigan: I think it was pretty finalized for the most part. There were a few very last minute things. My friend Laura [Chambers] came in to do some piccolo and flute stuff for the ragtime sessions. I remembered as she was packing up that I really wanted to add flute to “Floral Fury”, and that was a very last minute thing. I think the flute added a lot to that tune. That didn’t happen too often, though. Studio use cost MDHR’s money, and recording costs a lot regardless, so we wanted to make the best use of the studio’s time and make sure to show up as prepared as possible. Emily: Did composing get more complicated as the game got longer than you expected? It’s a very hefty soundtrack, and it’s all original music – I don’t hear any loops or repeated tracks. Did the game getting longer throw a wrench in anything? Kristofer Maddigan: Kind of! I mean, the process was very long in the first place – we started four years ago. Chad would keep coming to me and saying that they were going to be adding a new boss here or platforming level there. I had a lot of music sketches sitting around that I had thought wouldn’t be used, and as more things got added, I’d go back to the sketches, and say, “Okay, I guess we’ll be using this.” Occasionally I’d get these eleventh hour requests, and I was like, “Oh, my God!”. I realize now that there is probably more music than there needs to be in the soundtrack – the tunes won’t finish in the time it takes you to beat the boss. Emily: I don’t own an Xbox, so I won’t be playing the game anytime soon. But I was watching a stream of it this week, and – first off, you die a lot! So a lot of what you’re hearing is the first minute of the theme. But because the themes are extended, it seems like the longer you go on in the fight, you get rewarded with more of the music. Kristofer Maddigan: Ideally! I didn’t want to make the themes too short – if this music hadn’t been for a video game, I still wanted each piece to be the correct length to sound like a complete work. I wanted them to be as long as they needed to be. That’s also why every tune on there has an ending. You’re never going to hear the endings when you’re fighting the bosses. The pieces are just longer than the fight. I get the impression that a lot of people who got the soundtrack appreciate that we went the extra mile. Emily: For my part, I don’t mind looped tracks, but one of my biggest pet peeves is tracks that are too short. It drives me crazy when I hear a soundtrack and every track is one minute and fifteen seconds or whatever. 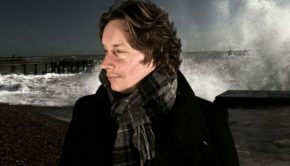 Kristofer Maddigan: Most of the solos we did for the tracks – typical big bands will have theme, ensemble section, solo, and so on – but what we did was record the tracks, and then record soloists after the tracks were finished, and they had to perform over the rest of the music. We had a good amount of soloists to choose from, and a lot of instruments represented. So when you die, and you get resurrected and you fight the boss again, it actually will play a different variation of that track. A lot of people haven’t noticed that! When I point it out to people, they’re always surprised. Maybe they’re just so engaged in the battle that they don’t notice. I was worried about the music being overpowering, or getting boring for people who were fighting the same battle over and over. Now I realize it probably wasn’t much of a concern. Emily: I would argue that it’s a good thing they didn’t notice – I’ve never gotten bored with a theme in a boss fight, but I have gotten annoyed with boss themes when I’m dying a lot and have to keep listening to the same music. So maybe the fact that people haven’t noticed means that they’re constantly engaged with the game and constantly getting new music, and aren’t hearing the same music repeating. Other games I’ve listened to have more layers, and ambience, that react to what the player does. We couldn’t really make music that reacted like that, which would have been an integral part of those old cartoons, and we couldn’t make ambient tracks because they wouldn’t have fit the style. So we were more going for the vibe – trying to keep it exciting. It’s supposed to make the bosses more intense, but it ended up blending better than I hoped. Emily: Had you listened to many game soundtracks previously to scoring Cuphead? Kristofer Maddigan: I didn’t listen to many – not as research or anything. I was a pretty heavy gamer for a while, but once I started undergrad I didn’t have much time to play, and have only been a casual gamer since then. I hadn’t listened to much in a long time – and what I had listened to was mostly old RPGs. Emily: Okay, I have a question, and I may be completely off base here – but the first few notes in “Airship” sound like the beginning of a Final Fantasy airship theme – was that intentional? Kristofer Maddigan: Yes, that was intentional. That was an homage to Uematsu! It’s funny because it’s not really a theme – it’s just four notes. I keep hoping that Uematsu’s not going to be annoyed when he hears it. There are a few homages in the score for sure – for the most part though, I tried to stay away from that kind of stuff. I didn’t want every track to have some sort of insert – it’d have been too much. Kristofer Maddigan: Yeah, that’s in one of the flying levels. That’s been used a lot, and it’s kind of a funny pop culture cliche. Emily: That reminded me a lot of old cartoons that use gimmicky versions of classical pieces as a part of their score. Kristofer Maddigan: Yeah, that was obviously super deliberate. There’s a couple others – I don’t know if people have found them yet. That’s probably a good thing – it means they’re a bit more subtle. Okay, I have to address this one point! There’s a bit in “Funfair Fever” that sounds fairly similar – but not exactly the same – to the Athletic Theme from Super Mario World. Emily: Oh yes! [laughs] I’d completely forgotten – I’d been wondering where that sounded familiar from! Kristofer Maddigan: Many people have been wondering that! So – that was completely accidental. If I did it on purpose, I would totally own it. But it’s actually a fairly standard ragtime cliche in some ways. When Koji Kondo used it, it was already old. So it’s funny that it sounded similar – for a game that’s full of homages, that was a total accident. Emily: So I know exactly the part where you were talking about – I remember listening to it and trying to figure out where it came from. But you have other ragtime pieces on Cuphead, and the style is similar enough that even though a lot of them make me think of Joplin – mostly because he’s the only ragtime composer I can name off the top of my head – it’s largely because that’s just the style of ragtime. Kristofer Maddigan: I don’t think Joplin used that particular riff frequently, but other ragtime composers used it all the time. All of the platforming levels are ragtime based. The challenge when you’re writing something that diminutive is that if you want to write, say, a ragtime piece, you’re going to have to use ragtime cliches. You’re going to have that secondary dominant chord progression, secondary ragtime rhythmic figure,etc. – it’s just kind of what makes ragtime ragtime. I tried to mitigate that as much as possible – but there’s only so much you can do. You’re sort of stuck having to use things that you had no hand in creating in order to stay within a style. I studied a lot of other scores to figure out where to go with the ragtime tunes, but Joplin is just so elegant. You can’t add or remove any single note from his scores. Many other composers were great but maybe a bit less refined, which in a way made a lot of what they did more exciting. Emily: I wanted to go back to something you mentioned earlier – you talked about bringing in soloists for different instruments. Were their parts written out ahead of time, or were they improvised? Kristofer Maddigan: Those were almost all improvised. A really good example, if you want to check it out, is if you watch the “High Seas Hi-Jinx” ‘making of’ video that went up on Youtube a couple weeks ago – it’s the full version of the piece. But then if you listen to the version that’s on the soundtrack, it’s the same tune, but the solo sections are different. Those sections are going to be the improvised sections in each piece, and pretty much every one of the big band boss tunes are going to have a similar variety in the solos. Emily: The other thing I wanted to ask was about that one theme that you have throughout the soundtrack – I’ve been calling it the “inkwell” theme. It starts off light and peppy, but by the end, you’ve got this funeral march version. Kristofer Maddigan: When I came up with that, I’d been listening to a lot of – well, Scott Joplin again. It first came up when I was writing what became Inkwell Island 1, which at the time was going to be the only world map. That tune in particular is so strongly influenced by Joplin. By the way – we had been talking earlier about anachronisms in the recording. Inkwell Island 1 is actually a great example of some anachronistic writing I used as well. The A and B strains of that tune are a very typical, straight ragtime style, but the Trio section goes into a swing feel the first time through, and then a full-on New Orleans polyphonic improvisation on the repeat, and finally going back to the straight, standard ragtime on the A strain out. Those are two very different styles which normally would never, ever be combined in the same tune, since they come out of very different and distinct traditions. It always seemed very organic to me to have the trio section do something super different in that tune, so while both styles are more or less era appropriate in themselves, it’s super anachronistic to have them both happening in the same tune. Anyways, then Chad said that they were going to add a few more worlds, so I decided to take that theme and apply it to as many ragtime styles as possible. So then there was “Inkwell Island 2” which is a 6/8 march, of which I think Joplin has around three written in that style. One of the strong influences on ragtime music were marches, like the works of John Philip Sousa, so that’s kind of where that comes out of. And then there was what became the Elder Kettle theme – and this is actually why Koji Kondo is thanked in the credits. Not the Athletic Theme! [laughs] I was reading the Koji Kondo’s Super Mario Bros. Soundtrack (33 ⅓) book. By the way, I’m probably shooting myself in the foot at this point, but they possibly discuss the Athletic Theme in there too. [laughs] Anyways, the thing that I took away from that was that most or every water world in Mario games are waltzes. And at the same time I was reading that, I went to a local master class, where a local composer was talking about writing waltzes, so I took it as a sign! At the time, there was potentially going to be some kind of water level, or water-based world in Cuphead, so I thought I’d write a waltz for it. Of course that world didn’t happen, but that became the Elder Kettle theme, and at that point I just felt, well, this little motif is going to be the main overworld and secondary theme. It’s such a short little thing, so it’s easy to develop however you want. I’m glad you picked up on it – it was just a few notes, so I couldn’t tell how obvious it was in the score! Emily: I listened to the soundtrack, and I didn’t notice the theme until I heard it in “Inkwell Hell” – the beautiful solo with the chromatic thing going on in the bass – and then I heard it everywhere. Kristofer Maddigan: That tune was my take on film noir, although I realized recently that it’s also got that chromatic motion like Artie Shaw’s 1936 hit ‘Nightmare’, which now seems more associated with the James Bond sound than anything. That theme also shows up in the tutorial. Emily: I have by no means found all the tracks that have that theme! But it’s become a fun scavenger hunt for me – finding all the pieces where that theme shows up. Kristofer Maddigan: It might be in all of them! [laughs] When you’re limited in using something, it makes being creative a lot easier. If you have too many options, it can become difficult to figure out where you go. As we needed more and more music, it was nice to have that really small theme already built in. It’s like Lebowski’s rug, tying everything together! Emily: I wanted to end by talking about the vocal tracks. You’ve got a couple at the beginning, and the ending track – my personal favorite track on the score. They’re all very different styles, despite being the stand-out vocal tracks on the score. Can you tell me a little bit about where they came from? So I spent a long time studying that, and I already had a draft for the opening song written, but I was trying to make it more barbershop-y. I think by the official standards, it’s not particularly authentic Barbershop. So then I wanted to try my hand at writing something that was a bit more authentic-sounding, and that’s how the tune in the middle of the soundtrack came about – “A Quick Break”. It also had some kind of goofy lyrics. I had a few other things that I wanted to write about, and Chad was saying ‘no no, that’s too meta’. I had all these ideas, and it was just – [laughs]. Anyways, I’m really glad that MDHR humored me on this, and that we were able to get that tune into the game. So then “King Dice” – he was always going to be this Cab Calloway character. Even if you just look at him, the inspiration is pretty clear, I think. I thought he could have a bit of the Calloway vibe – I think he’s actually the most interesting character in the game. I might have given him a little too much backstory in my head! So I tried to write something that was Calloway-esque. Initially, they weren’t thinking of having a singer on there at all, but I said we needed to go all out on that one. We tried finding someone local who fit the bill, and we totally lucked out with Alana Bridgewater, a local actress and an incredible singer – so she did the voice of King Dice on that. She sang that tune and the end credits in the same voice. I don’t know if the end credits are supposed to be sung by King Dice or not – I think so, but, well. [laughs] That end tune is another variation of that same theme (also “Shootin’ and Lootin’”), just slowed down a whole lot. I thought it would be nice for the end credits. People seem to have responded well to the King Dice theme, which is really nice! Emily: How does it feel to see all these covers of your music? Kristofer Maddigan: It’s great! There was this accordion cover of “Don’t Deal with the Devil” that I thought was just great. 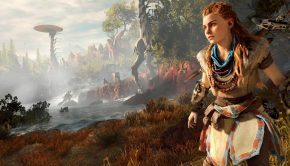 I had hoped that this soundtrack would do well – we all hoped the game would do well – but I don’t think we expected it to have nearly as positive a reception as it has. The responses have been better than we ever could have hoped for. Emily: Out of curiosity, did you have a favorite track to compose? 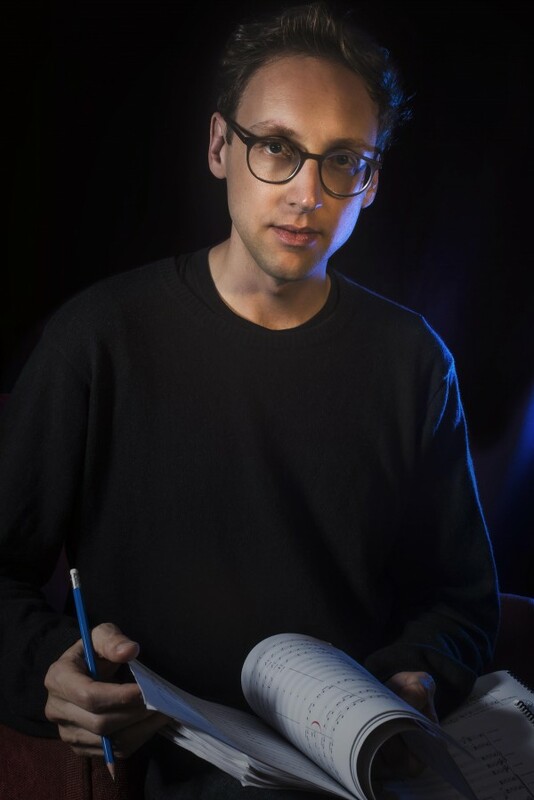 Kristofer Maddigan: I liked “Clip Joint Calamity,” “King Dice,” “Admission to Perdition,” and I liked “Floral Fury” a lot – but my favorite tune was “Pyramid Peril.” That was the one for me where, I felt like I was able to use my own voice. There’s maybe more of me in that track than in any other track in the score. It’s actually one of my favorite bosses too! Emily: Is there anything else you want to say about the soundtrack? Kristofer Maddigan: Thank you for your support, everyone! I’m just enjoying the ride at the moment. I’m having dinner with Chad, Maja and Ryan (from Studio MDHR) this weekend – we can have a postmortem then. It’ll be nice to be able to meet up and just hang, without this big deadline hanging over our heads. I go back to a heavy freelance schedule starting next week, which will last until January. Now that the game is finally out, there’s just so much pressure off. Emily: Would you ever want to compose for another game? Kristofer Maddigan: I think so? It’s a lot of work! [laughs] I think I would – it would have to be the right kind of project though. 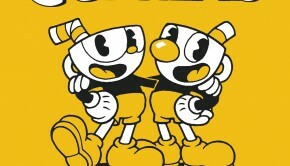 If they decided to do a Cuphead sequel – and this is not yet a thing, I don’t want anyone to take this out of context – but if they decided to do a sequel, and they wanted me to do it, I would love to. I have some ideas stored away that I’d love to use. I would also love to score an RPG. Part of the challenge with Cuphead was that there wasn’t much freedom in terms of style – it really had to fit in the context of the game. But in an RPG, you could sort of customize the styles a bit more. But again, it really would have to be the right project with a far off release date. I can’t imagine the stress of doing film or tv scores, on tight timelines – having a deadline every week – I can’t fathom that at all. So it would have to be something where I’m not rushed to finished! Posted on October 8, 2017 by Emily McMillan. Last modified on October 9, 2017.